Preparing for your wedding day is one of the most exciting things you’ll ever do. 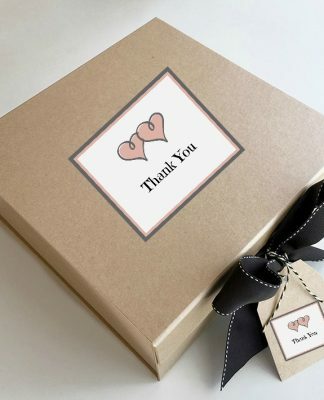 As you probably already know, there are literally dozens of tasks to take care of and to remember, causing many brides-to-be to forget about their hairstyle and the ever important bridal hair accessories. A big part of what makes your hair look wedding-ready, not just party-ready, is the perfect accessory. Unadorned hair is beautiful on its own, but bridal headpieces have the power to pull your entire look together. 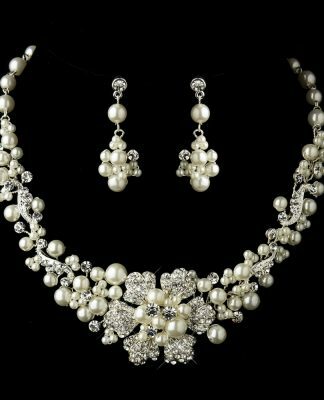 Wedding tiaras and other bridal hair accessories frame the face, and if worn properly can accentuate your most positive features. Just like a hairstyle, bridal headpieces can dramatically change your look for better or worse, depending on their size and placement. 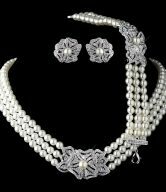 Before embarking on the exciting journey of bridal hair accessory shopping, you first need to determine your face shape, and then pick out a wedding hair accessory that will flatter your face. You’ll have to know more than just whether you’ll wear your hair up or down. If you’re set on having a bun, do you envision a high ballerina style or a low one that is swept to the side? If you have long, thick hair, consider bigger hair accessories that can stand up to the weight, rather than daintier ones, which will be less noticeable. Big or small, intricate bridal combs can make even the most tousled updos look polished. First, as a general rule of thumb, it’s always advisable to keep your bridal hair accessories as simple and elegant as possible. 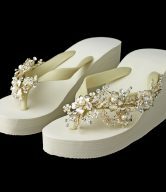 All eyes will be on you the bride all day long, so you should exude a sense of stunning beauty, one that doesn’t need a host of froufrou accessories to compete with. 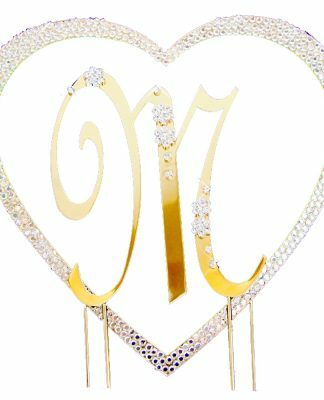 With that in mind, you can now make an informed decision as to which bridal hair accessory is the perfect one for you to frame your face. If your face is elongated, you should avoid tall tiaras which will only lengthen your face. Instead opt for headbands and tiaras that add little height. Large combs or silk flowers worn at the side of the head also work well with this shape, as they will add fullness and width to the face. Wedding headbands not only add interest to the hairstyle, but they also help to keep the style securely in place throughout the busy day. A wider headband is more suited for a retro look, while a narrower headband works better with modern dresses and styles. These embellished floral bridal hair accessories are a perfect addition to a hairstyle that’s up or down—no hair spray or teasing necessary. If your face is oval, you can wear just about any accessory style because your face is well proportioned. 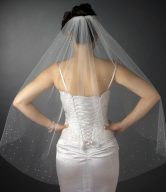 However keep in mind the groom’s height if you want a tall tiara as you will not want to overpower him. 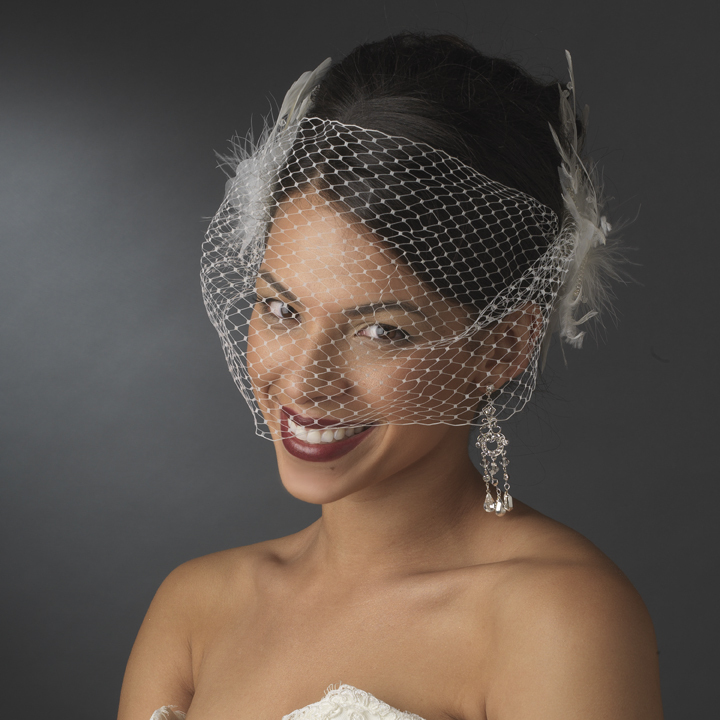 Bridal bird cage veils are vintage-inspired headpieces that are easy to pop on or off. Wearing one instantly transforms your look into something sophisticated and chic. To extend your face lengthwise, choose a headpiece that will add some height or one that has a strong peak. Choosing a tall piece will help elongate your round face. As your face is the widest at its ears and cheeks, avoid side pieces as they would accentuate the roundness of your face. 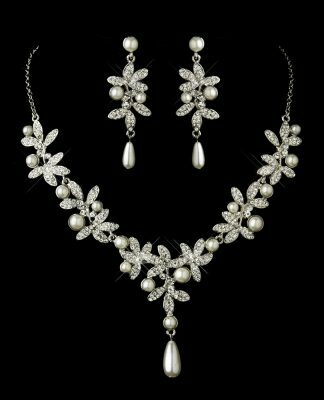 The best thing about these tiaras is how they let you add a touch of glamour with these statement pieces. No matter your hair length – long, medium, even short – a tiara is a guaranteed way to add glitz to any down hair-do. Although you may want to be aware of the above recommendations, they are just that – recommendations. If you have an elongated face, you can still wear a tiara but perhaps one that isn’t quite so tall. If you have a round face and are set on a side-accented comb, consider wearing a smaller one. Coupled with the right hairstyle, any of these bridal hair accessories can be perfect in making you look and feel even more gorgeous on your wedding day. Take plenty of time to fully explore all of your options. Knowing exactly what hairstyle you want will greatly help you to choose the absolute perfect hair accessory and to ensure you’ll be absolutely thrilled with your finished look. 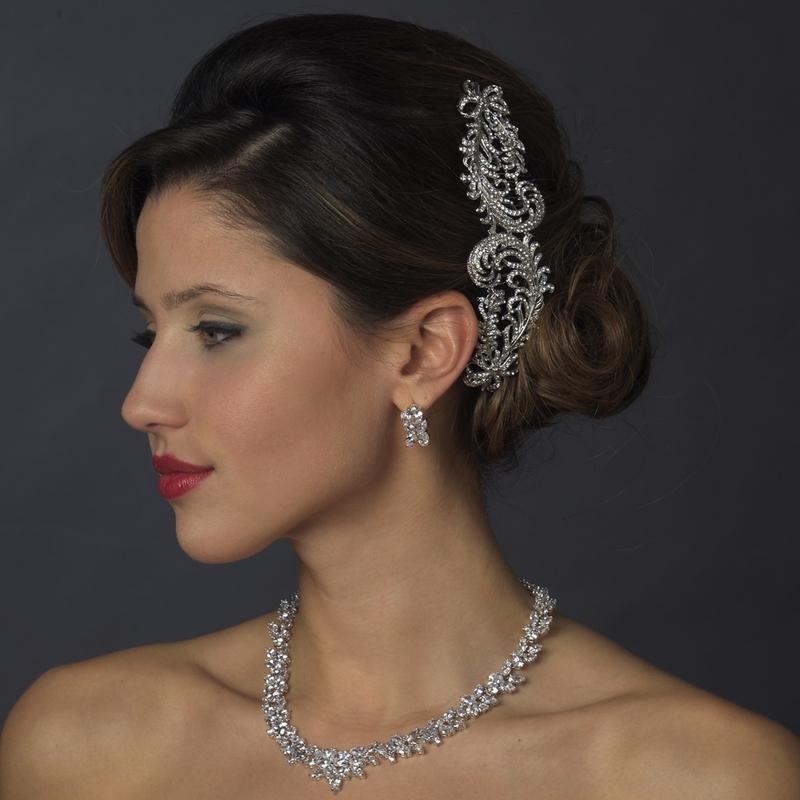 Collaborate with Elegant Bridal Hair Accessories to customize your look for your wedding day.